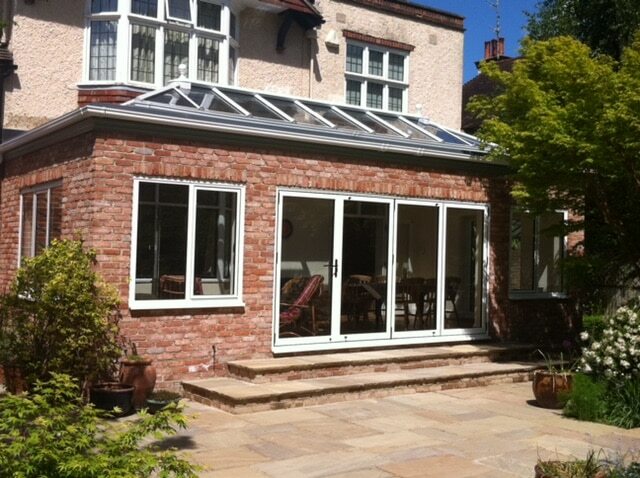 For the ultimate in strength, slim lines and maximum glass area, an aluminium Orangery is the perfect solution. We offer a range of styles and designs in top quality, highly insulated aluminium that will create a real valuable addition to your home with enhance levels of comfort and convenience. Orangeries in Aluminium from your local specialists. You will have many reasons for wanting to extend your home. Whether you are looking to create an additional living space, a room to entertain, a snug, a playroom or a study we can help. 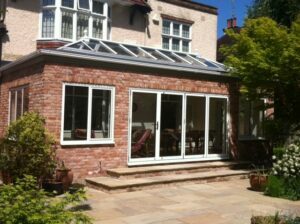 Newlite will individually design your ideal Orangery working within your budget, the style of your home and your design ideas. Whatever you choose, you are guaranteed the ultimate in comfort, security, impressive design and above all a transformation of your home and how you use it. Aluminium brings many benefits to conservatories and orangeries and is the ideal material to help create your perfect living space that you can use all year round. Our aluminium roofs benefit from advanced insulation and thermal performance. In combination with sophisticated roof glass you can enjoy a slim contemporary orangery that will let in maximum light. Aluminium benefits from inherent strength, durability and a huge choice of colours and textures thanks to the use of powder coating technology. Choose your ideal aluminium orangery. 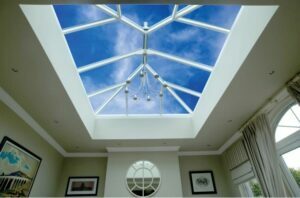 Our glass roofs come from the two leading names in aluminium roofs, Atlas and Quantal. Strong, thin yet light utilising the latest box section technology. Roof rafters of only 40mm slimmer than any other roof. No need for external roof hoods or bosses found in other roofs. Quantal roofs feature the renowned Ultraframe name. The Ultraframe Orangery provides traditional and contemporary designs giving you that perfect mix between a traditional conservatory and a modern orangery. All are designed to transform your home and how you live with all the advantages of a modern yet functional glass structure.